Kayt Davies is a senior lecturer in journalism at Edith Cowan University. 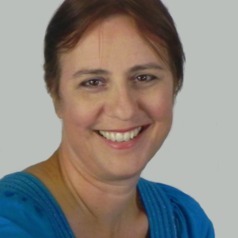 Initially trained as a cadet journalist in business news, she has worked for The West Australian, Visnews (London), and edited community newspapers and magazines. She has a BA (psych) honours, an M.Phil in English and Comparative Literature and her PhD was an ethnographic study of women's magazine editors. She is editor-in-chief of 3rd Degree, ECU’s online student publication, and in 2009 she was awarded a Vice Chancellor's citation and an Australian Learning and Teaching Council Citation for Outstanding Contributions to Student Learning.